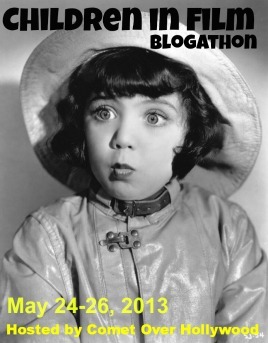 This post is my entry in the Children in Film blogathon taking place May 24-26 at Comet Over Hollywood. Head on over to the site for links to more kiddie movie star fun. Gigi Perreau came to me out of nowhere, a pleasant surprise. To me, she embodies one of the most delightful things about the movies, those little moments that unexpectedly touch you in the midst of a larger, more elaborate story. I ran across Perreau while I was researching the actress Teresa Wright for a profile. Wright had starred with David Niven in the little known, but deeply touching costume drama Enchantment in 1948. Gigi played the younger version of the actress. I'm usually a bit bored during origin scenes like these, and if I pay any attention to the child actor, it's typically because I'm trying to decide if there's any resemblance to the star they're portraying. In a brief scene Perreau was so beautifully, dare I say enchantingly, different that I couldn't shake her memory for the rest of the movie. I've known kids who express sadness this way, they really do shrink into themselves and push you away, all the while wanting you to help them. When she eventually smiles, it feels like the greatest victory. It's such a remarkable moment between these two young performers. I later read that the crew was so impressed by young Gigi's performance that they applauded after her final take. That can't happen too often among these technical professionals who see moviemaking nearly every day. It's even more amazing that the praise was for a child. I wasn't able to dig up much information about Perreau, but it appears she has acted frequently throughout the years. She started in the movies at two-years-old, when her older brother Gerald (stage name Peter Miles) was discovered by an agent, and the rest of the family, including her two sisters, got into the act. She appeared in several movies in the 40s and 50s, often as the offspring of big stars like Greer Garson and Bette Davis. As she left her toddler years, Perreau developed into a sensitive young performer, always able to grab you in her brief scenes. After that lovely introduction in Enchantment, I'd run across her in films like My Foolish Heart (1949) and marvel at the way she could make you feel for her character. She added television to her repertoire in the 50s, where she made her mark in shows like The Betty Hutton Show, Follow the Sun and many guest appearances. Late career highlights include a decade performing in various productions on Broadway, and a long tenure teaching drama at Immaculate Heart High School in Hollywood, which was her alma mater. 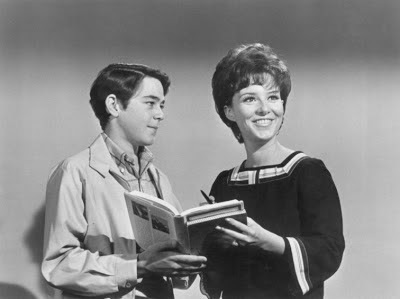 She also served as Vice-President of the Drama Teachers Association of Southern California and on the Board of Directors of her former co-star Donna Reed's foundation. She was recognized for her achievements as a child star by the Young Artist Awards in 1998. Perreau has also done a bit of voice work in recent years. I'm glad to see that that little girl, who was too sensitive a performer to be a showy star in the Shirley Temple style, has still kept a significant connection with the craft she loves. To see more of the many roles Gigi Perreau had over the years, check out this gallery. Excellent post! Though she's not as well known, I've always been a fan of Gigi's. She was very adorable, especially as a toddler. You can spot her in films such as Madame Curie. What a great choice for the blogathon! I don't know when I first became aware of Gigi Perreau, but I see her every so often these days on TCM or another movie channel in "Yolanda and the Thief," "Enchantment" or "The Man in the Gray Flannel Suit." Enjoyed learning more about her life and career. Lovely! Thank you for an informative post about an enchanting child star. I love learning about what happened to them once they grew up. I adore Gigi Perreau. My sister and I first came across her name watching "Green Dolphin Street" and since then we have seen her pop up in countless television programs. She was busier as an adult then as a child star it seems. Thanks for this informative post! A lovely post. I remember Gigi from My Foolish Heart, but I knew very little about the rest of her life, thank you for rectifying this! She had such a lovely screen presence. Thanks to amc's screenings of "The Rifleman" on Saturday mornings I recently caught the teenaged Gigi in a couple of guest appearances. She never lost it! Thank you all for your comments. I'm delighted that so many of you are also fans of Gigi! That's what I adore about this community. No matter what I find to love, there always seems to be someone out there who feels the same way. 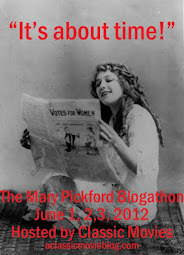 Fun idea for a blogathon Jessica! I'm not famliar with Gigi (I like her name, though) but this clip just made my heart melt. I couldn't avoid smiling when she smiled! So good to know she remained in the career, without further problems!